Same. Loved the composition here with the checkered flag. Does he do any social media stuff? Couldn't find him when I briefly looked. First post on here. Yesterday was my first session out in yellow with Driver's Edge and was a bit of a mess for sure. Figured going in that due to the months of relentless rain we've had, you'd almost definitely be buried to your neck if you ventured off. I remember seeing your car out there now, and had the honor of giving BigMonkey a point on the first session too. 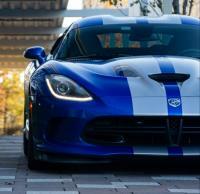 I was in the blue/silver Viper. Great footage you got. Were you using a SmartyCam with your solo DL or a GoPro?